Hello, and a warm welcome to this week’s edition of the MIS Online newsletter. 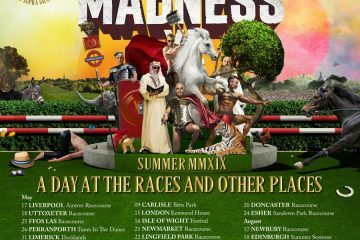 With September at an end, there’s a mere two months to go until this year’s Madness Weekender in Minehead kicks off at Butlins. The line-up looks fantastic, and it’s sure to be a long weekend full of many hazy but happy memories. Moving on, and in some Suggs related news, we learned this week that the big fella has been commission for a second series of World War 2 Treasure Hunters. Screened on The History Channel, this will span six episodes. Check out our Sign of the Times section for more information. Now, on with the issue! Following the previous last night’s fantastic gig at London’s Alexandra Palace we were certain that many of you were either still journeying home, or if you’d managed to get home, were now recovering. We understood that at least one Madness fan decided to skip booking hotel accommodation, and following the gig ventured back into Camden where he partied the night through, before catching the first train home! We’re not quite sure how he did it, but Facebook posts from said individual indicated that he did indeed make it all the way though. Impressive stuff! On to reviews of the Ally Pally gig, and so far they were thin on the ground. All being well, by the time next week came around we’d no doubt have a number of fan and press reviews featured. We advised you not to panic as we weren’t totally without Ally Pally coverage, though, as thanks to the efforts of subscriber Tony Stratton we did have one review of the show for you. 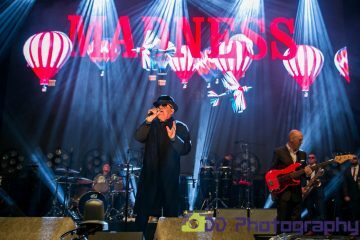 In our Live and Intensified section we featured reviews of Madness at L’Olympia, Paris on the 16th September. This wasn’t any ordinary review. This was a mammoth War and Peace style affair which definitely needed to be accompanied by a cup of tea and a comfy chair. 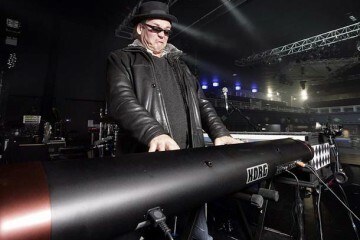 Not to be outdone, Daren West provided a detailed review of the Northants Cricket Ground gig which took place on the 16th September, while Tony Stratton provided fans with the first Ally Pally review less than 24 hours after the gig had taken place. 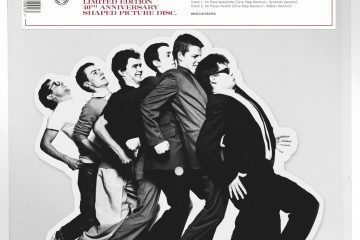 Vince Carden brought this issue to a close with the news that those of you planning to see Madness in Dublin this New Year’s Eve would be pleased to learn that tickets were on sale for a mere £21! Vince also told us that having just bought his ticket you automatically got sent a PDF link where you could download and print your ticket off. This meant that there’s was no waiting around wondering if your ticket had been dispatched or not. With this year’s Madchart readers may have been wondering what we had to fill its space. 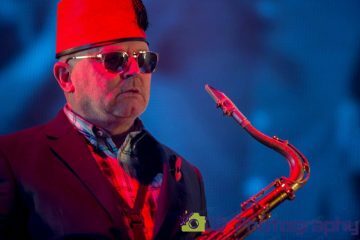 Well, we asked you not panic as this issue we were running a full transcription of an interview which took place with the one and only Dave Robinson, during the previous year’s Madness Weekender in Blackpool. The whole thing had been painstakingly transcribed by Vince Carden, and for those of you who weren’t there we thought you’d find it a truly fascinating read. 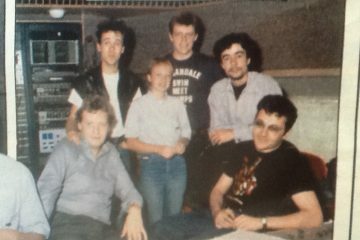 Along with that we featured news on the last few dates of the Our House musical tour, a lowdown on the Nutty Forum’s “Nutty Radio”, a transcript from a 1985 issue of Hitkrant, which had been transcribed and translated by Tour Madness editor Jermaine. Elsewhere we had details of a number of new downloads available via the MIS Online web site, and finished off by reminding you to listen to the latest episode of Nutty Radio, which was due to go out this evening. With the Great Yarmouth Madness Weekender just a drunken memory for those who attended, pictures were already starting to crop up online. These proved to be useful for those who were present, as they helped to fill in the gaps, while those who were unable to get along, could at least get a chance to see what they missed out on. 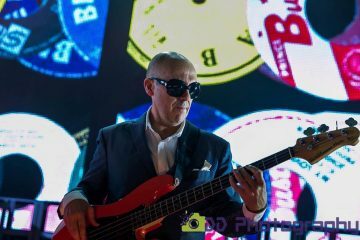 Moving on, and news in from MIS subscriber, Birchy, was that the legendary Terry Hall, of the Specials, had teamed up with mixing band ‘Dub Pistols’ who release a single on the 29th Sept called ‘Problem Is’. Still getting his head straight after two days of solid drinking in Great Yarmouth, MIS co-editor, Jonathan Young still found time to let us know that The Blockheads were about to release their first album following the sad passing away of lead singer Ian Dury. Entitled “Where’s the Party”, the album would feature 13 tracks, and all being well, would be available to purchase before Christmas. “The Electric Ballroom is at the heart of Camden Town’s bustling community and has been a key part of it since it’s early days over 40 years ago. It began as a busy Irish club playing host to a wide variety of performers including the likes of Jim Reeves. 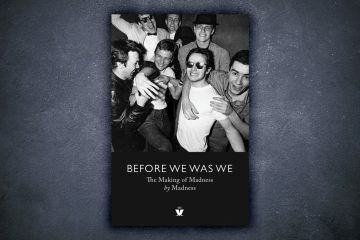 In the past decades Sid Vicious, Madness, The Clash, George Thorogood and the Smiths have drawn huge crowds to the venue. The most recent performers have included Blink 1-8-2, Reel Big Fish, Seafood, Dead Kennedys, Beth Orton, Blur and Garbage. As you may have heard, London Underground want to re-develop the site that The Electric Ballroom has occupied for over 50 years, into a new station, shoppingmall, offices and flats. The Electric Ballroom has been an important stepping stone for many musicians past and present and has entertained generations of people. Please show your support by leaving your name on our petition”. 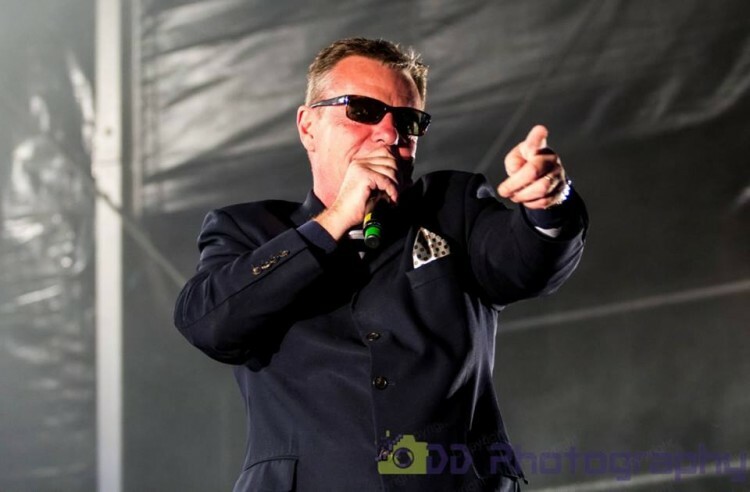 Over the following months celebs such as Mike Edwards from Jesus Jones, Boy George, Dame Judi Dench, and our very own Suggs, would voice their concerns over the council’s plans to demolish this famous and much-loved North London music venue. And finally, with new album launches costing hundreds of thousands of pounds to promote, The Blockheads decided that they’d need to do something to try and give their forthcoming album a chance. – EXCLUSIVE!! – Only you will have the chance to purchase “From The Vaults” – a limited edition series of unreleased tracks from the 1977-2000 archives. – £40.00 per year (Inc VAT and P&P) – Give yourself or the Blockhead in your life a treat! Series two of World War 2 Treasure Hunters is to return to the History channel later this year. “We’re delighted to welcome back Suggs and Stephen Taylor to the channel, for another round of truly remarkable discoveries and stories: bringing to life a unique period in British history, when the whole country was mobilised on to a war footing. The World War One Special, at Morn Hill, Winchester, is a particularly poignant reminder of just how recent these events were and what a debt of gratitude we all owe to the brave soldiers from all over the Commonwealth, who made their way, via Morn Hill, to fight on the Western Front.” – Dan Korn, VP of Programming for A+E Networks UK”. The six episode series will be accompanied by a brand new one-hour special on the First World War titled: WW2 Treasure Hunters: WW1 Special to mark 100 years since the end of the Great War in 2018. The one hour special will launch the new series on HISTORY in the UK on Monday 12th November. 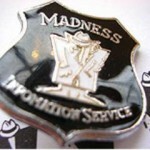 And finally, it was five years ago this week that Madness took to the stage at London’s Alexandra Palace. Prior to the gig, however, they invited all the fans to congregate outside to participate in a very special version of “Our House”.